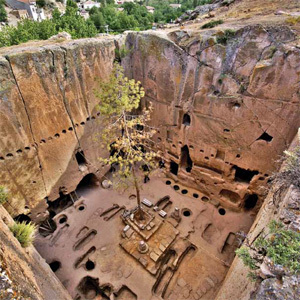 Nigde Province is situated in the southeast of Turkey’s Central Anatolian Region. 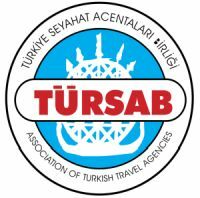 Situated at an altitude of 1229 metres the population of Nigde Province, according to the general 2007 census, is 331,667 Nigde has Aksaray, Nevsehir, Kayseri and Konya as neighbours with the Bolkar Mountains to the south, the province of Icel to the southeast and the Aladaglar Mountains to the east forming natural borders that separate it from the province of Adana. As for the districts of Camardi and Ulukisla, they are counted as being in the Mediterranean region. Thermal springs, historical sites, beautiful scenery, opportunities for mountaineering and winter sports and a rich history are the elements that give this beautiful town the possibility of being an important travel destination. The fundamental source of the locals’ income is agriculture and animal husbandry. The Nigde Central Industrial Centre, the Bor Leather Industrial Centre and the Birko Sheep Corporation and other trades are important occupations for the local people. Nigde Province is top of the list in the country in the number of apple trees it boasts. This province provides 25% of the potato production of the whole country. It is an important centre of traditional handicrafts. The carpets made in the Nigde are sold all over the world. 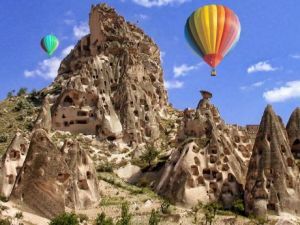 It’s proximity to the Capital Ankara, it’s being located in Cappadocia, it’s wealth of history and it’s natural beauty all go towards making this pretty Anatolian town something special. Ecemis Waters and the Ulu river are important rivers.